Despite not keeping very well, I've managed to watch ten movies in two days, mainly because of the venue being so close to my place, and this online reservation system that I really, really like. It brings down the stress levels to the minimum and you get so much more time to enjoy the festival, meeting more people, taking breaks to eat, and relax. Corn Island (Georgia/ 2014) by George Ovashvili: Georgia's official entry to the Oscars, this film with minimal dialogue is a stunning document of an old man inhabiting a little river island to grow corn. It was so well shot, and the sound design was very effective. However, the final few minutes of the film left me unsatisfied. The Little House (Japan/ 2014) by Yoji Yamada: The only Yamada film I had watched before this was 'The Twilight Samurai' (2002) and I hadn't liked it much. But I absolutely loved 'The Little House'. It was a DVD projection and the first few minutes were off-putting, but as someone has said - the most important thing in a film is the story. As the story took over, it moved me, and pleased me, and left me completely satisfied. The actress Haru Kiroki, who played the young Taki had won Best Actress at Berlin this year for her performance. The Third Side of the River (Argentina/ 2014) by Celina Murga: Honestly, I think I could have avoided this film. It was well-made and the performances were very real. But the story itself was not very involving. Moreover, we have seen so many films about teenage angst that it didn't have anything new to offer. 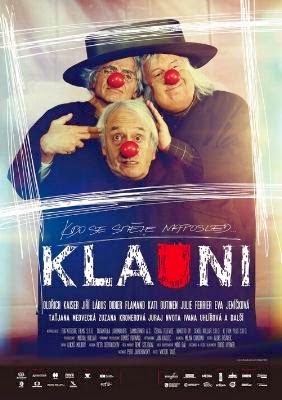 Clownwise (Slovakia-Czech Republic/ 2013) by Viktor Taus: This film has emerged as the revelation of the festival so far, generating unanimous response among the audience. And the love it is receiving is very deserving. Great characters, put in an interesting situation, with a stunning and surprising use of camera, edit, music, and sound. A perfect film for big screen. A perfect film for a festival, or otherwise. Beloved Sisters (Germany/ 2014) by Dominik Graf: Germany's official entry into the Oscars this year, this film is an epic period piece about two sisters unusually and willingly falling in love with the same guy. Some very interesting craft-related decisions, and some extremely well written scenes make this really long film an easier watch. I do not personally like costume dramas much, but if you like those, this is a film for you. The Academy might just love it. I won't be surprise to see it in the top five early next year. Honestly speaking, I am feeling a little underwhelmed after watching the first ten movies at the festival. I really need some really amazing movies on the third day, some truly memorable ones.